Sometimes you stumble across a portfolio where the artist only has a couple of comic based pieces, other times there can be just one work so brilliant, you'd risk being stoned to death by fellow art lovers for putting something else beside it. These are Random Works of Wow and illustrating the point this week is Greg Staples with Bizarro. I love the Superman rouges gallery, and like Flash's used to, it just doesn't get the credit it deserves. 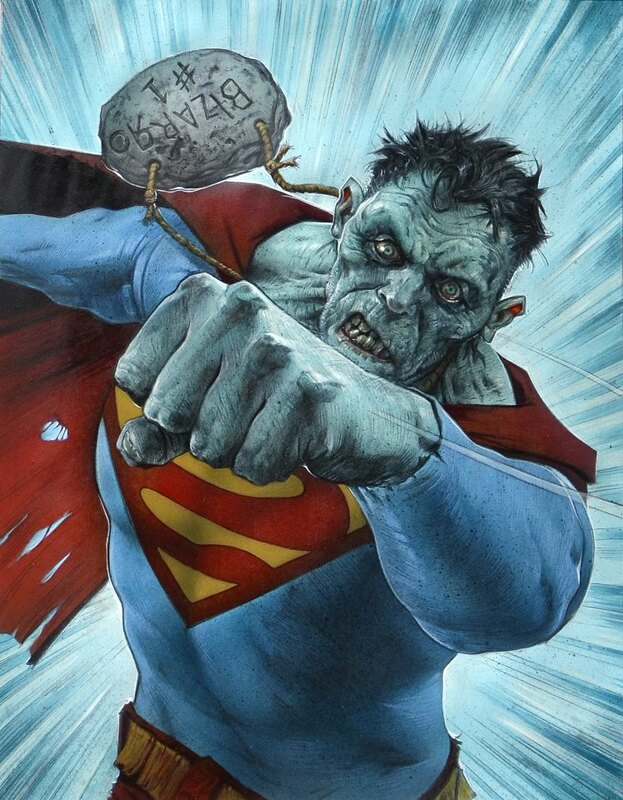 While Alex Ross put the creepy into Bizarro in all-new ways in Justice, this piece brings the backwards brute back into the centre a little more, while still entrapping you with Bizarro's great zombie-like stare. Just look at the detail on that skin! What do you think? Sound off below. View more Random Works of Wow here or to see more of Greg's art, click here. He am America's Next Top Model! Oh man, imagine having to write your entire blog post that way. Ha!